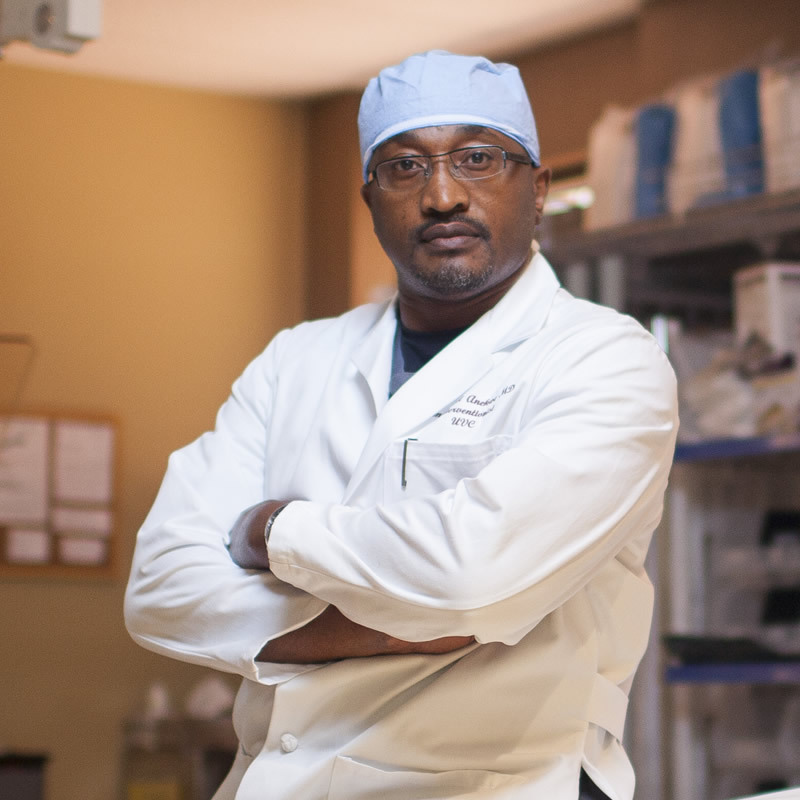 Dr. Emmanuel Anekwe is a varicose vein specialist and certified by the American Board of Venous and Lymphatic Disease. He is adept in performing a wide range of endovascular procedures which include arterial and venous interventions of the extremities. Great emphasis is placed on varicose vein disease management in his practice, where extensive and detailed vascular evaluations are performed daily. We are pleased to offer Free Vein Screenings to help start examining if varicose veins and spider veins can be causing your leg pain, aching, heaviness, or swelling. Make an appointment today! Designed & Developed by Leo Marketing.